Wilhelmus (Willem) Theodorus van Aalst was born in Geertruidenberg on February the 5th 1856. Both his parents died at a young age, and Willem became an orphan at the age of 5. Nothing more is known about his childhood, except that he had four sisters and was a catholic. About his education also nothing is known. 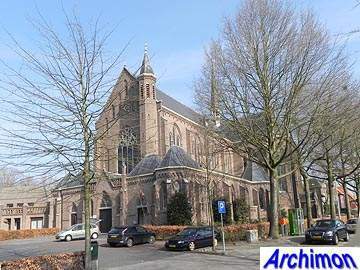 As a young architect he lived in various places in Noord-Brabant for short periods until settling in 's-Hertogenbosch in 1888, where he died on November the 11th 1927. 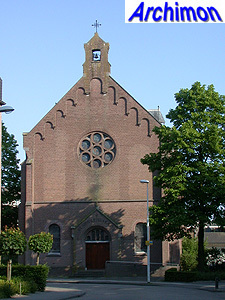 One of his earliest designs is for the Aloysiusgesticht in Cuijk, a monastery in neo-Renaissance style out of 1887. 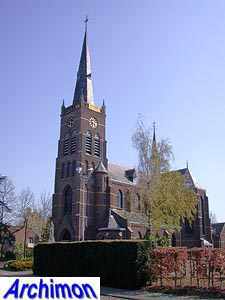 He designed several churches and chapels in various places mostly in the eastern half of Noord-Brabant, mostly working in a neo-Gothic style.. An important client was the Congregation Dochters van Maria en Joseph, which commissioned several convents, schools and chapels. Religious buildings were only a part of his work, and among his other buildings are several private houses and at least one factory. In 1920 Van Aalst associated himself with the architect J.J.M. of Halteren. The cooperation lasted until 1925 and probably ended because Van Aalst retired. Van Halteren continued to use the name Van Aalst for the office for several more years. The following is a list of Van Aalst's religious works. It is probably incomplete. 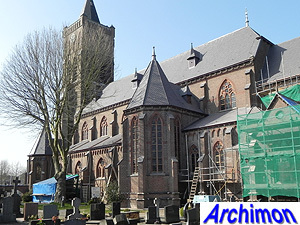 New choir in neo-Romanesque style for an older church. 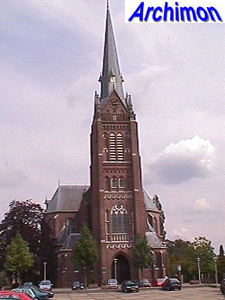 Three-aisled cruciform basilica in neo-Gothic style, incorporating a Gothic tower. New nave added to a slightly older choir by P. Stornebrink, possibly based on a design by that architect, as well as heightening an cladding of the Romanesque tower. Lengthening of the nave of an older, neo-Classical church and the addition of a tower in an eclectic style. Destroyed in 1944. Three-aisled cruciform basilica in neo-Gothic style, with tower at the transept. 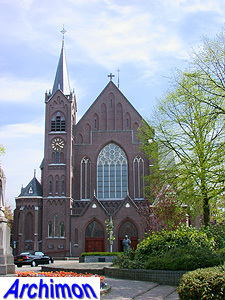 The church is a copy in brick of E.E. Viollet-le-Duc's church in Aillant-sur-Tholon, France. Aisleless chapel in neo-Gothic style. Three-aisled cruciform basilica in neo-Gothic style. Three-aisled cruciform basilica in neo-Gothic style, incorporating a 15th-century choir. 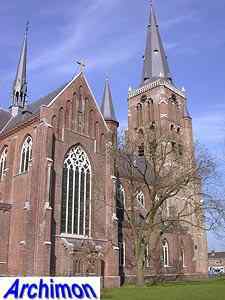 Part of the design were two frontal towers, of which only the smaller one was built. Three-aisled cruciform basilica in neo-Gothic style, with tall tower. 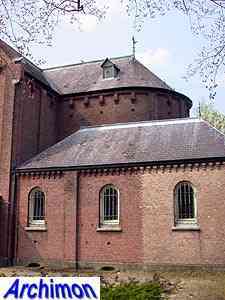 Aisleless chapel in neo-Romanesque style. Completion of H.J. van Tulder's tower with an upper segment, based on Van Tulder's design. Destroyed in 1944.